I would like to receive occasional information and updates from Rose Theatre Gala Dinner and jumblebee. 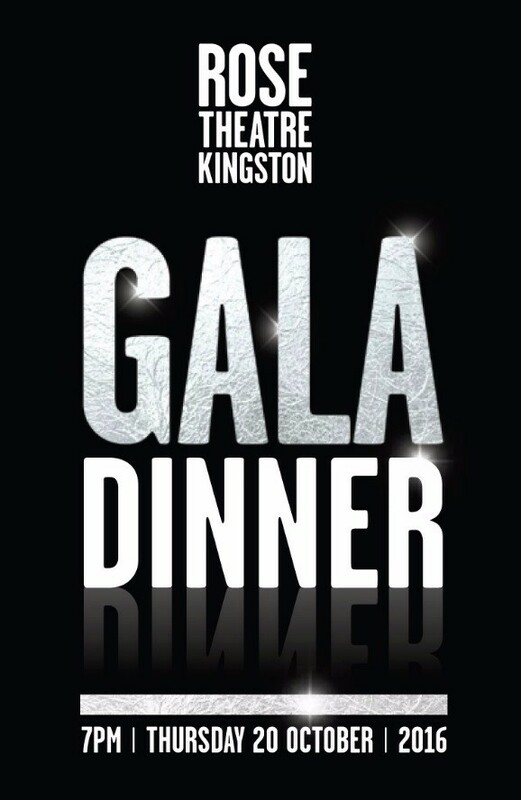 An evening of fine dining and live entertainment with special guests from stage and screen to raise funds for the Rose Theatre's drama, cultural and learning programmes. If you're not attending the Gala Dinner you can still bid online for our silent auction using this page. Online bidding closes at 1pm on Wed 19 Oct. Your bid will be registered at the dinner on Thu 20 Oct, where we will continue to bid on your behalf up to your maximum amount. If your final bid is successful we will contact you after the event. Live auction lots are also listed on this page and are indicated by the 'Live Auction' banner. These lots are only available for bidding on the night of the Gala Dinner. 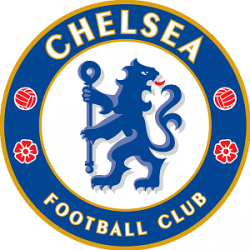 To place a proxy bid for the live auction please contact Liz Beatty on 020 8939 4053 or email lizb@rosetheatrekingston.org no later than 5pm on Thu 20 Oct.
A framed shirt signed by Chelsea FC first team squad and Manager. 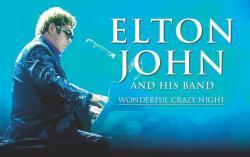 Four tickets to see Elton John’s Wonderful Crazy Night Tour at Twickenham Stoop Stadium on Sat 3 Jun 2017 at 4pm. 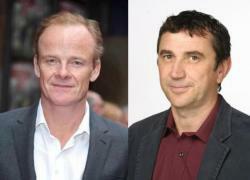 Seats are located in section CC5 Row F.
Two guests will join Phil Daniels (Quadrophenia; EastEnders; New Tricks) and Alistair Petrie (The Night Manager; Rush; Undercover) for a four-ball round of golf at Richmond Golf Club, including lunch or breakfast for a future date to be mutually agreed. Richmond Golf Club is a beautiful parkland course, adjoining Richmond Park and Ham Common, with a stunning Grade 1 listed early-Georgian clubhouse. A Tommy Armour 845 Evo Golf Bag signed by Ronnie Corbett, Cilla Black, Justin Hayward, Kenny Lynch, Jimmy Tarbuck, Martin Jarvis, Rebecca Hall, Julian Glover and Samantha Bond. A framed shirt signed by Tennis legend Andy Murray. A fantastic day out for all the family including four tickets to our Christmas production of The Wind in the Willows, ice skating at Hampton Court Palace and a meal at Zizzi Kingston. 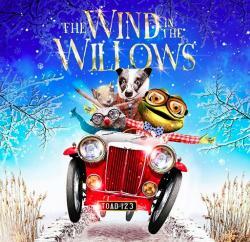 A story of friendship and courage, The Wind in the Willows is one of the best loved books of all time, now brought to the stage in a glittering new production that promises festive madness for all ages and an enchanting ode to the wild banks of the River Thames. Your day out also includes a meal at Zizzi Kingston and ice skating at Hampton Court Palace, one of London's most dramatic outdoor Christmas ice rinks. Skate against the stunning backdrop of Henry VIII's historic Tudor Palace, which is beautifully illuminated at night. Cat O’Nine Tails is the fifth collection of short stories by Jeffrey Archer. These yarns are ingeniously plotted, with richly drawn characters and deliciously unexpected conclusions. Beautifully illustrated by acclaimed artist Ronald Searle. Jeffrey Archer will sign the book with a personal message to the winner. Kempton Park’s flagship festival offers a wonderful day out for two people on the second day of racing, Tue 27 Dec 2016. This prize is for two Paddock Enclosure tickets, including viewing of the Parade Ring. The day will feature two Grade 2 races and a host of competitive handicaps, which always provides key clues for the rest of the National Hunt Season. Top the day off with ice skating at nearby Hampton Court Palace, one of London's most dramatic outdoor Christmas ice rinks. Skate against the stunning backdrop of Henry VIII's historic Tudor Palace, which is beautifully illuminated at night. 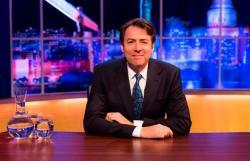 A Giorgio Armani suit worn by Jonathan Ross on his famous ITV talk show. The suit is black, with 38" trousers and 46" jacket. A must for all shopping addicts! Treat yourself with these fantastic gift cards. - £100 to spend at Bentalls store in Kingston, the ultimate one-stop shop for fashion, beauty, homeware, appliances and electronics. The gift card is also valid at any Fenwick store. - £199 to spend anywhere within the Bentall Centre Kingston, home to over 75 stores and more than 1,000 stylish brands. Enjoy a year of outstanding drama and family entertainment with this exclusive prize offering tickets to the opening night (Press Night) of every Rose Production in 2017. Upcoming productions include Silver Lining by Sandy Toksvig; My Brilliant Friend by Elena Ferrante; The Twits by Road Dahl; Junkyard by Jack Thorne and our autumn/winter season to be announced. Includes two tickets to each opening night (four tickets for The Twits and the family Christmas show) and invitation to our exclusive pre-show VIP drinks receptions. Set on 25 acres of landscaped grounds on the banks of the River Thames, the four-star Lensbury Hotel in Teddington is the perfect location to relax and unwind or get active with a range of leisure activities. Treat yourself to some luxury with one night’s Bed & Breakfast in an Executive Room for two people. You will also have access to the full range of amenities including gym, heated indoor swimming pool, racquet sports and a water sports centre with sculling boats, kayaks and dinghies for messing about on the river. Check-in 2.30pm, check-out 10am. A Gilbert rugby ball signed by the Harlequins rugby team. Eight Quins players appear in the current England squad, more than any other Premiership Club, including Mike Brown, Joe Marler, Danny Care and former England captain Chris Robshaw. This day pass will give access to two adults and up to four children to the full range of amenities including gym, two heated indoor swimming pools, racquet sports, children’s play areas and a water sports centre with sculling boats, kayaks and dinghies for messing about on the river. Treat yourself to some well deserved pampering with these fabulous his and hers Clarins gift sets. 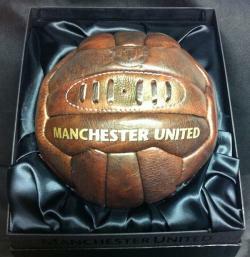 A unique football signed by the two surviving members (Bobby Charlton and Denis Law) of the famous United Trinity – the Manchester United trio of George Best, Denis Law and Bobby Charlton who helped United become the first ever English club team to win the European Cup in 1968. The prize also includes two tickets to a Manchester Utd 2016/17 season game of the winner's choice. A lovely holiday home in the small, attractive village of Nebias, located one hour south of Carcassonne, which is a stunning World Heritage site. This charming and quirky house built in 1750 has one single and three double bedrooms, three bathrooms, a library and a sauna. The house has all mod cons and everything you need, including bikes for all ages and a Wi-Fi connection. It’s an ideal location to spend time relaxing, with fabulous local walks and a ski station 40 minutes’ drive away. It is an hour from Perpignan and the Mediterranean coast, with the Spanish border around 2 hours’ drive away. If you are flying, you can use Ryanair to Carcassonne, Perpignan, Montpellier or Girona. Or you can fly with Easyjet or BA to Toulouse. Dates to be mutually agreed. 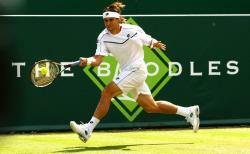 The Boodles Tennis Challenge is an international exhibition tournament held each year at the exclusive Stoke Park Country Club in Buckinghamshire. This prize is for two Players Enclosure tickets for the first day of play on Tue 27 Jun 2017. The Players Enclosure is the most lavish way to enjoy this experience – a five star package for those who want the best. The day will start for you and a guest with a glass or two of Perrier-Jouët while you browse the exclusive jewels on display in the Boodles Gallery, followed by a gourmet lunch and interviews with the tennis stars before they take to the court. You will then watch the tennis from your private courtside box, with chilled Champagne and Pimms to keep you refreshed while the players battle it out on court, followed by a full afternoon tea. Players who have appeared over the years include all the great tennis legends such as Andre Agassi, Pete Sampras, Tim Henman, Novak Djokovic and Andy Murray. For those who prefer not to drive, a complimentary bus service will take guests to Stoke Park from nearby Slough Station. Buses will depart the station from 11:00 to 14:30 at 30 minute intervals. The service will resume at 16:30 from Stoke Park to Slough and will depart at 30 minute intervals up until 19:30. 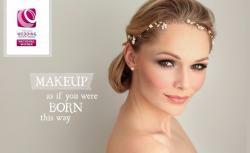 Whether you're planning a special occasion or just feel like treating yourself, this makeover with award-winning make-up artist Kristina Gasperas will make you feel beautiful. Kristina and her expert team are known for creating flawless red-carpet-worthy faces, elegant and flattering hairstyles and a friendly, helpful and calm service that is loved by hundreds of clients. Visit Kristina's studio in Richmond for a full makeover experience which includes three professional portrait photographs. A unique opportunity to experience international golf from behind the camera lens at the BMW PGA Championship at Wentworth in May 2017. With exclusive behind the scenes access, you and a guest can experience the television production and broadcasting of the event, including a VIP tour of the studios to watch filming, meet the Sky Sports presenters and sit with them whilst they commentate on the golf. Also includes passes to the course to watch all the golfing action up close. Widely regarded as one of the most prestigious tournaments in golf, the BMW PGA Championship has been held on the iconic West Course at Wentworth Club for over 30 years. Past champions include legendary golfing names such as Nick Faldo, Seve Ballesteros, Bernhard Langer, Colin Montgomerie and Rory McIlroy. Valid for Thu 25 or Fri 26 May 2017. Not suitable for children under 16. 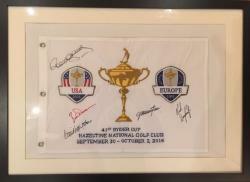 This lot is for live bidding only on the night of the Gala Dinner. 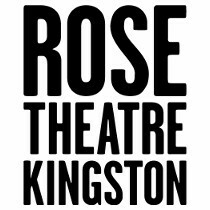 If you would like to place a proxy bid, please contact Liz Beatty at the Rose Theatre on 020 8939 4053 or email lizb@rosetheatrekingston.org no later than 5pm on Thu 20 Oct. We will bid on your behalf, up to your maximum amount, and contact you if you are the winning bidder. A fantastic opportunity for one young rugby fan to run out at Twickenham Stadium as one of the official mascots of the world-famous Barbarians rugby team when they take on England in the Old Mutual Wealth Cup on Sun 28 May 2017. The prize also includes a full match replica kit to keep as a memento of the day and up to six match tickets for the mascot and their friends and family to enjoy this special occasion. Child must be aged 5-11 yrs on the day of the match. The Barbarian Football Club is an international touring team steeped in history stretching back more than 100 years. Membership is by invitation only and its rollcall features some of the greatest names in rugby union: Gareth Edwards, Jason Leonard, Lawrence Dallaglio, Francois Pienaar, Zinzan Brooke, David Campese, Richie McCaw and the late, great Jonah Lomu have all played in the famous black and white shirts. To be invited to play for the Barbarians is considered one of the highest honours in the game. For fans of Channel 4’s Great Canal Journeys this is a must-have experience! For five successful seasons the hit show has followed national treasures Timothy West and Prunella Scales as they embark on spectacular canal boat journeys across Britain and Europe. The couple’s life-long love affair with canals stretches back to their youth, when they were young actors trying to save rent by living on a barge. Acclaimed careers on stage and screen followed, including Tim’s lead role in The Winslow Boy at the Rose in 2009. Great Canal Journeys is a television viewing sensation and has won over audiences with the couple’s gentle and affectionate relationship, that makes them such marvellous travelling companions and their slow-paced adventures such a pleasure. You and a guest can join Tim and Pru for a trip on their narrowboat, on a route and future date to be mutually confirmed. Jacqueline Wilson is one of the nation's best loved writers whose books are cherished by young readers all over the world. She has written over 100 books, with sales of over 35 million in the UK alone. This is an amazing opportunity for up to six young fans to join Jacqueline for afternoon tea at the beautiful Warren House in Kingston. They can chat with their favourite author about her life, stories and writing inspiration, including receiving a signed copy of Jacqueline’s latest release, Clover Moon. A lifelong writer and Kingston resident, Jacqueline’s characters depict real lives and authentic challenges in a way that few others do – and children love her for it. In 2002 she was awarded the OBE for services to literacy in schools and from 2005 to 2007 she was the Children’s Laureate. 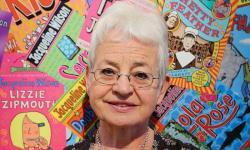 In 2008 she became Dame Jacqueline Wilson. In 2014 the Rose Theatre was proud to produce the world stage premiere of one of her best-loved books, Hetty Feather, which went on to tour nationally and internationally, including two smash hit summer runs in the West End and a return to the Rose earlier this year. 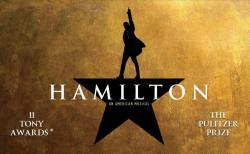 The hit Broadway sensation and highly acclaimed Pulitzer, Grammy and Tony award-winning Hamilton has taken the States by storm and is coming to London in 2017. Hamilton mania is set to sweep our city and we have two of the hottest tickets in town that are not even on sale yet! This ground-breaking musical by writer and lead star, Lin-Manuel Miranda, tells the rags to riches story of Alexander Hamilton – the young, illegitimate and orphaned immigrant who became one of the Founding Fathers of the United States. Tickets in the US have cost hundreds, even thousands of pounds due to unprecedented demand. The London production already has a long pre-registration waiting list and is expected to sell out within minutes of tickets going on sale in November 2016. You and a guest can jump the queue with two exclusive house seats at the newly-refurbished Victoria Palace Theatre. The prize also includes dinner and an overnight hotel stay in central London. Future dates to be mutually agreed. A once in a lifetime opportunity to dine with a Hollywood legend in your own home. 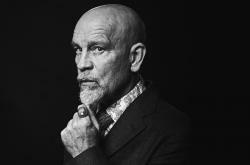 Emmy Award winner and Academy, Golden Globe and BAFTA Award nominated actor, John Malkovich, will come to your home for an exclusive dinner accompanied by his wife Nicole Peyran. Malkovich’s acting career spans more than 70 films, including Dangerous Liaisons opposite Michelle Pfeiffer and Glenn Close; Clint Eastwood’s In the Line of Fire; the star-studded RED and RED 2 movie franchise; and the eponymous Being John Malkovich. He is also an accomplished director, recently making his London directorial debut in our critically acclaimed production of Good Canary, for which he previously won the coveted Molière Award for Best Director in the 2008 French-speaking production in Paris. Dinner, for up to 8 guests, will be prepared by award-winning chef Eric Guignard, who will discuss the menu with you before sourcing the finest ingredients for your event. Eric studied classical French cuisine at top Parisian restaurants including Le Jules Verne and the Michelin-starred Jacques Cagna and Le Pergolèse. He is now chef and proprietor at The French Table in Surbiton, which he owns with his wife Sarah. Their restaurant’s wine list reached the final round of the 2016 AA Notable Wine Award and Eric has just won Surrey Chef of the Year at the 2016 Surrey Life Food & Drink Awards, recognising his exceptional culinary expertise. Dinner will take place on a mutually agreed future date in a London or Surrey location, and the auction winner is to cover the cost of ingredients and alcohol.